Our goal is to safely reunite children in foster care with their birth parents. Our Safe & Together program works with Portland families with children ages birth to eight who are in foster care. The goal of our program is to reunite families and to prevent future occurrences of foster care placement by keeping children safely at home. We do this by providing intensive home visiting and individualized support, and connecting families with stabilizing resources. We work in partnership with the birth parent(s), foster parent(s), DHS/Child Welfare, and mental health professionals. Our Safe & Together Program also encourages families to participate in our parent-child playgroups and dad-specific services. 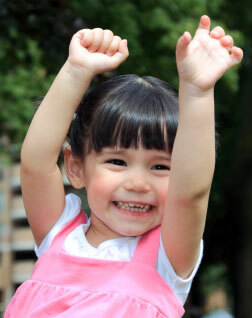 Impact NW’s Safe & Together program receives funding from the Portland Children’s Levy. Please call our Safe & Together program at (503) 294-7492 to learn about our range of services. Your conversation will be completely confidential. If Impact NW isn’t the best fit for you, we’ll help connect you to the services you need.